We got a package of assorted cheeses for Christmas and it sat on the floor for a day untouched. Moved it up to the table and went into Manhattan for the night. Challenge accepted. 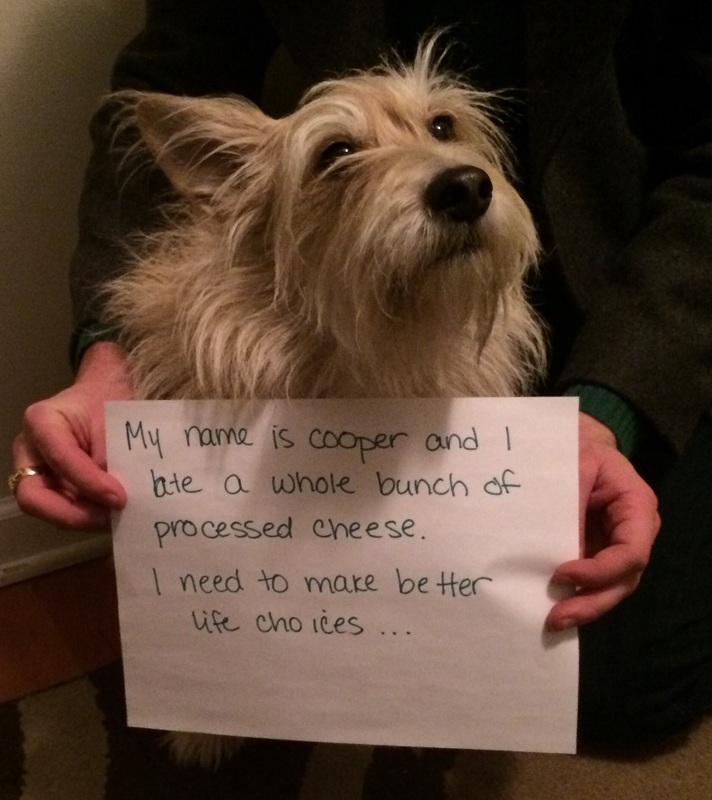 Cooper apparently couldn’t resist and had himself a nice little cheese spread. Posted July 3rd, 2017 .